From Africa, via Bramhall, and made with love, former police officer Alex Anyakwo is cooking up a storm with his unique African sauces. A passion to explore the cuisine of his native Nigeria led Alex to start experimenting in his home kitchen on the outskirts of Stockport but a chance meeting with a Yorkshire farm shop owner led Alex to dip a toe into sales. 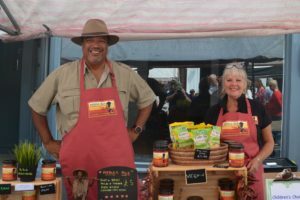 Just a year on, Africa Al has created a buzz at artisan markets throughout the Midlands and North West and husband and wife team Alex and Lorraine are set to showcase their produce at Tatton, the North West’s largest food show (14-16 July, 2018). Production has been massively scaled-up to cater for the demands of the Tatton Park audience and Africa Al now has sights firmly set on moving the business into the retail arena. “I have always cooked for the family, bringing the authentic tastes of my childhood to our dining room table but never anticipated I’d be selling my produce,” said Alex. “We are regular visitors to the North Yorkshire coast and I built up a friendship with a farmshop owner in Malton, a village famed for its foody-stores, and he eventually challenged me to sell a small batch of my sauces in his shop. Tatton is a major leap forward for Alex and there’s now a vision to take Africa Al into shops and supermarkets. Said Alex: “The Tatton Food Fair is generally incredibly busy with a footfall of almost 60,000 visitors and we see it as a major leap forward. Alex’s recipes are based on the authentic cuisine of Africa, with his own twist. He has always been a foodie, and so he decided to recreate the dishes by experimenting with the ingredients he recalls his grandmother using. “I was born in Lagos and I recall sitting down on Sundays to a traditional West African stew – the aromas and tastes around the dining room table have stayed with me all my life,” said Alex. “Food figured large in our culture, using fresh ingredients such as onions, scallions, ginger, garlic and peppers, with the heat added by using Scotch Bonnet peppers. 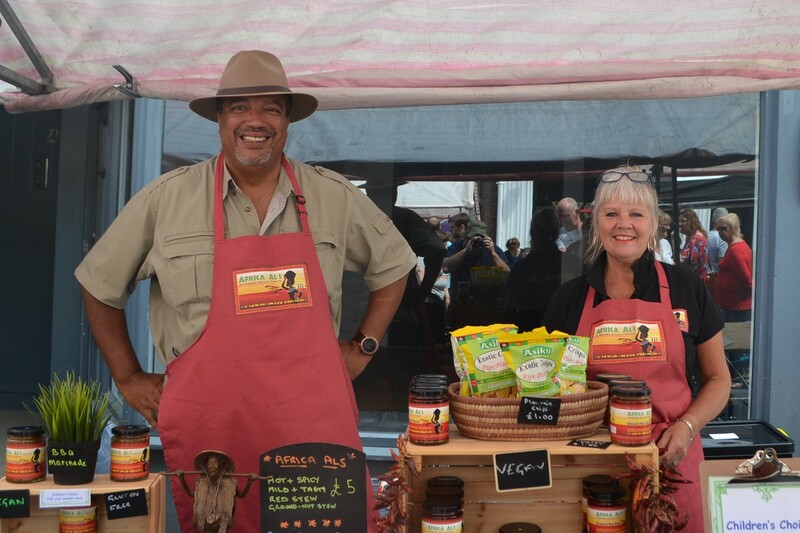 Success has come quickly, Africa Al made its debut in Malton just a year ago and has only been trading in the local markets since autumn 2017, yet already has listings in farm shops, delis and butchers just from word of mouth and local demand. They now have the ambition to get out to a larger events and more stores. For further information on Africa Al, please visit the website – www.africa-als.co.uk.